Am I right that there were three Oscar nominations for BLUE JASMINE? 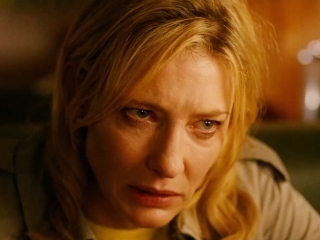 One – Cate Blanchett for Best Actress – is absolutely deserved, and my money is on her to win. Not sure what to say about Sally Hawkins (Supporting Actress) – I thought she was fine but not really memorable, though I’m not sure what more she could have done. The script didn’t do her any favors. But the actual screenplay is a confused mash-up – based in part on Bernie Madoff, and in part on STREETCAR NAMED DESIRE, and at the same time a bizarre road movie involving snazzy parts of New York (which of course, Allen knows well), and San Francisco (which he clearly doesn’t). This is critically important to everything follows. It makes Blanche a fundamentally sympathetic figure, a person we understand to be nurturing and self-sacrificing in ways we don’t see very much during the action of the play. It also makes us understand that Stella, who superficially seems the pleasanter, more giving and less high-maintenance sister, is far more complicated and self-serving. Their relationship – including this backstory – is a core to so much of STREETCAR. For example, Stella’s motivation in allowing Blanche to live in her apartment isn’t purely altruism – she owes her, as Blanche continues to point out. More broadly, all of it is key to the emotionally tangled world, ambiguous world of Williams’ play. More troubling, it’s only the latest in a parade of female characters that serve as icons of Allen’s mistrust of and contempt for women.